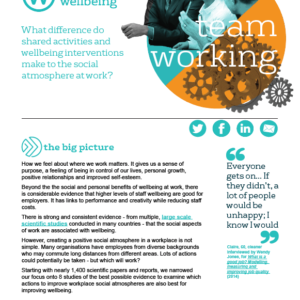 We’ll spend around a third of our adult waking lives at work, assuming it’s paid employment 9-5, Monday to Friday, The evidence is fairly conclusive that almost nothing has as great an impact on our wellbeing as employment. 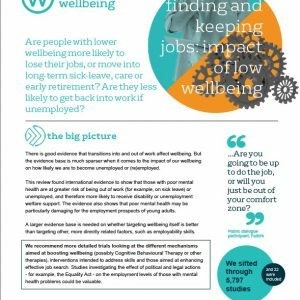 But the evidence shows us that the average dip in life satisfaction that occurs to most of us when we hit working age. 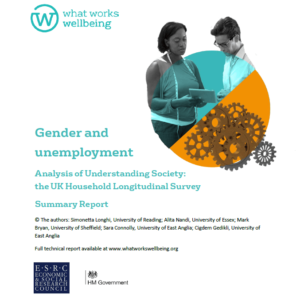 We are working to understand, and hopefully help to reverse, this trend. 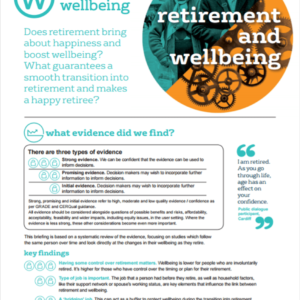 That’s why we work with the UK’s leading researchers to review the international evidence base for different aspects of our working lives, from hiring to retiring. 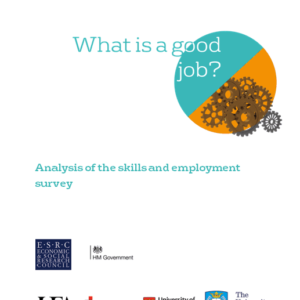 What makes a decent, worthwhile job? 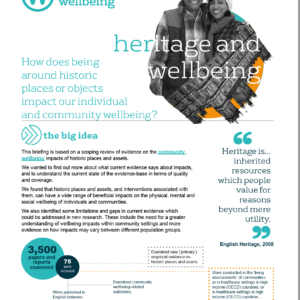 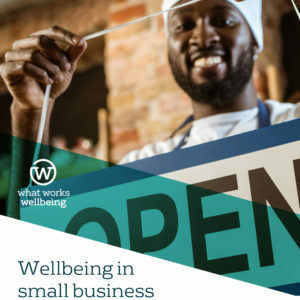 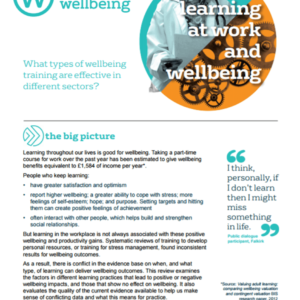 What wellbeing or management training provides the best results? 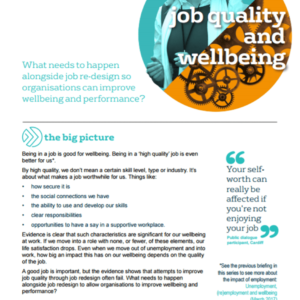 How can employers meaningfully engage their staff to create a better workplace? 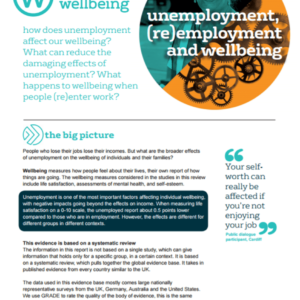 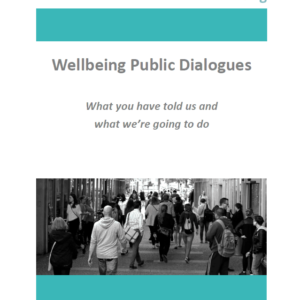 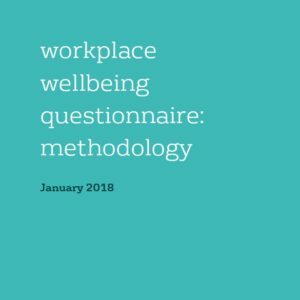 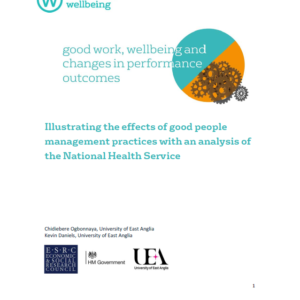 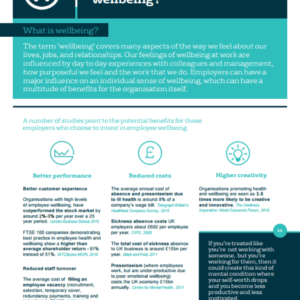 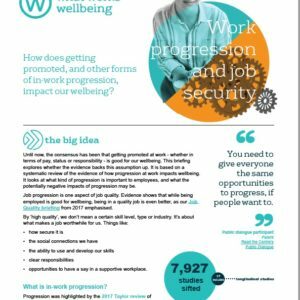 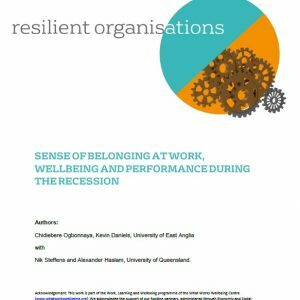 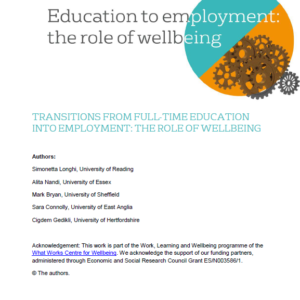 We also look at the research on the wellbeing impact of being out of work. 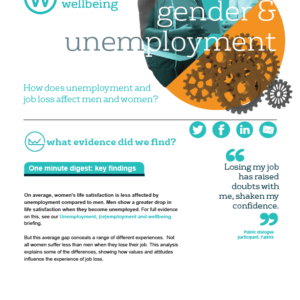 The goal is to help policy-makers create evidence-informed policy to tackle unemployment, and ways of supporting people who cannot work due to disability, illness, caring responsibilities or other reasons. 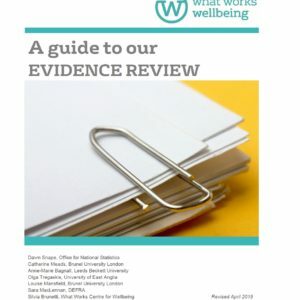 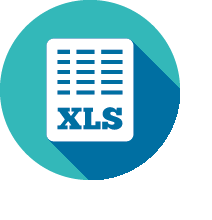 As part of our role bringing decision-makers together to put evidence into action, we facilitate a council for businesses to come together and share good practice; get insights into evidence reviews; speak with policymakers; and shape activities for organisational change.